After much hard work, our parents – Sri Guru Gobind Singh Ji & Dhan Dhan Mata Sahib Kaur Ji have blessed us with this CD release, brought to you by Kirpa Records, Akaal Publishers & Kaurageous. 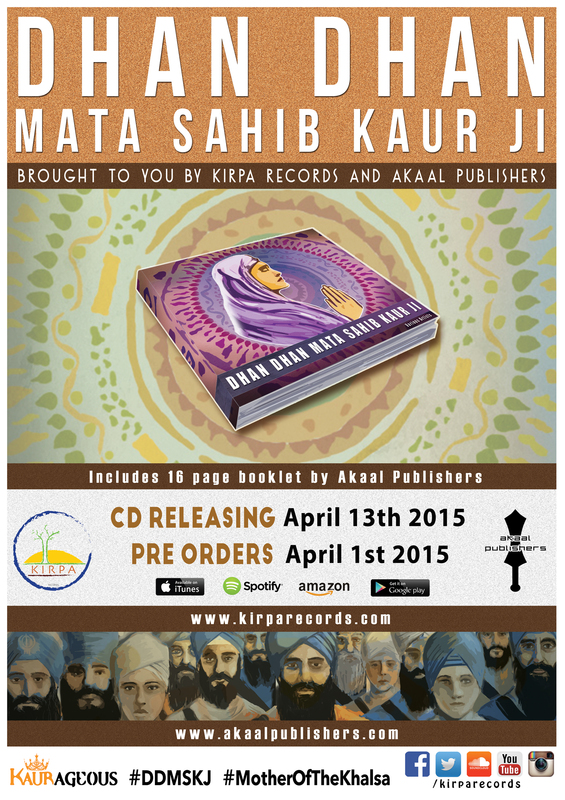 The EP will include a 16 page booklet dedicated to Guru Gobind Singh Ji & Mata Sahib Kaur Ji. Listen to soundcloud clips of the tracks here ….